Type: EQUIPMENT. Detail: GIFTS. 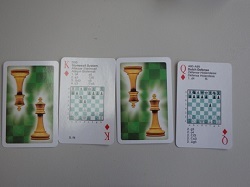 Product Code: SBCARD. 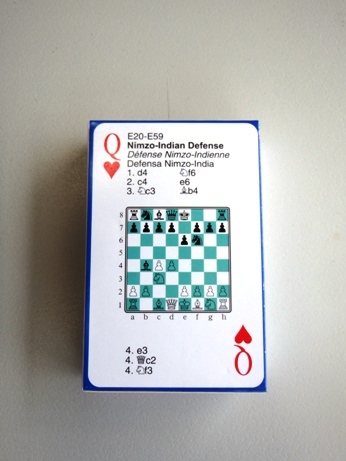 A set of 52 playing cards that also have the name of a different chess opening on each card combined with a diagram. A popular gift and an encouragement award.